According to Dan Ricker's Watchdog Report: Marco Rubio has a net worth of $8,351. A self described fiscal conservative, Rubio is carrying almost a million in debt -- including two mortgages on his current home and more than $100,000 in student loans. Hit on images below, from his financial disclosure forms, to enlarge them. First: Steve Marin, what was he doing for his corporation? Usually people PAY Marin not the other way around. Note, Rubio lists Florida Strategic Consulting. It is a defunct Corporation since 2003. Maybe he doesn't know the correct name of the company he is/was working for...because that is awfully odd, unless he is trying to hide something. There is a Florida Strategic Consultants LLC (Viviana Bovo) that was lobbying in 2009. That is what he SHOULD have written in his financial report. In a Legislature where public votes and private profit can collide, one alliance stands out: the trio of Rep. Esteban ''Steve'' Bovo, his wife and former House Speaker Marco Rubio. 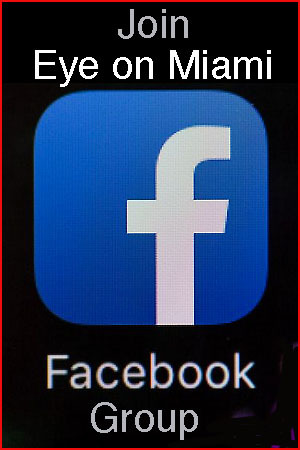 Bovo, a freshman Republican from Hialeah, is the in-house lobbyist for Miami Children's Hospital. Hesits on a House budget committee that helps decide how much state money hospitals and healthcare providers in the state receive. As Bovo was taking office in November, Rubio was leaving, due to term limits. Rubio took his top assistant - Viviana Bovo, Bovo's wife -- with him to work at a new consulting-lobbying firm, Florida Strategic Consultants. The company in December then scored two contracts worth $102,000 and $96,000 with Miami Children's and Jackson Memorial hospitals, respectively. The situation involving the Bovos and Rubio is legal but illustrates the complicated challenges of conducting public business in a ''citizen's legislature,'' where part-time lawmakers often cast votes that can benefit their full-time employers outside the Capitol. To ensure he's on the right side of the law, Rep. Bovo said he has requested legal advice on conflicts of interest. He said he stopped lobbying in Tallahassee ''the moment I got elected.'' He now does governmental- affairs work in Washington, D.C., and in the South Florida area. Bovo noted that most people in the Legislature have other jobs, so apparent conflicts are nearly unavoidable. Rubio, who plans to run for higher office in 2010, said he's staying out of Tallahassee lobbying. He said he provides strategic consulting advice and access to a network of contacts he culled as House speaker, one of the most powerful posts in the state Capitol. Former legislative staffers can lobby legislators. But former legislators can't ''personally'' advocate in front of their former peers for a period of two years, according to state law. Bovo's wife -- or any other intermediary -- could carry messages between Rubio and legislators, according to ethics opinions. But Rubio said he's not even doing that out of an abundance of caution. Still, the situation raises a few questions in the Capitol. Dockery said public perception of lawmakers has become even worse since Ray Sansom recently quit as House speaker amid a grand jury probe connected to an unadvertised job he won at his local community college. For three years, Dockery has sponsored bills requiring greater disclosure in potential conflict-of-interest cases, including those involving spouses. Dockery acknowledged that her proposed legislation is limited to cases of ''special gain'' in which a lawmaker or spouse would benefit to the exclusion of all others -- a rare occurence. Rep. Bovo said whispers in the Capitol's sizablelobby corps over ''this conflict crap'' comes with the territory.He said he got used to such questions when he was a Hialeah councilman and worked for Hialeah Park Race Track. ''I can't help what goes on in this building. Somebody takes a fart and everybody sees conspiracy,'' he said. Different hospitals and government agencies have different conflict-of-interest policies. At Jackson, a county- run agency, government affairs Vice President Janette Nunez will have toresign if she's elected in 2010 to the Miami House seat she seeks. Nunez said the Jackson Memorial contract with Florida Strategic consultants is split in two. 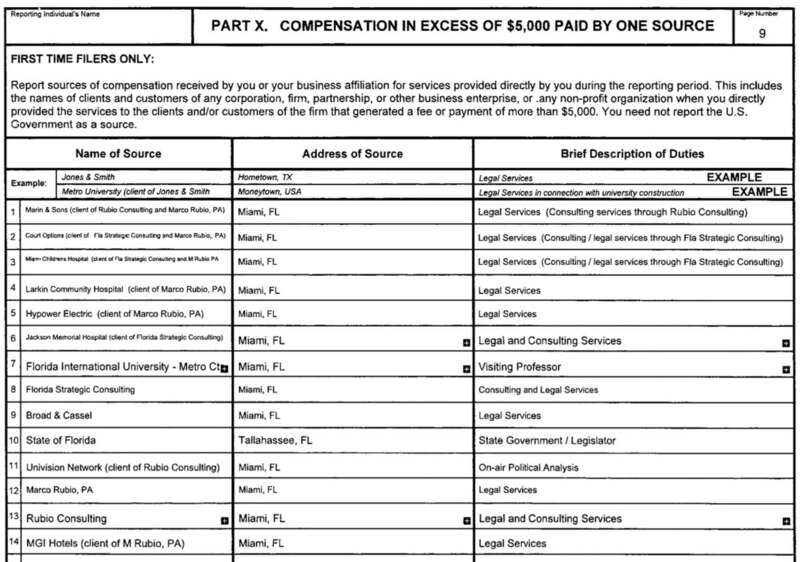 Rubio handles consulting locally for $3,000 monthly, and Viviana Bovo lobbies in Tallahassee for $5,000 monthly. Florida Strategic Consultants is a wholly owned subsidiary of the Broad and Cassel law firm that employs Rubio. He said other lawyers and staffers can and likely will work for the firm's consulting arm. The $102,000 contract with Miami Children's, a private nonprofit hospital, doesn't involve Viviana Bovo, say Rubio and officials. She couldn't be reached. Miami Children's and Jackson, respectively, receive about $100 million and $800 million annually in legislator-approved Medicaid payments. 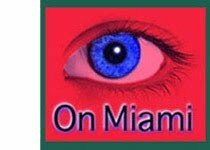 Annually, Jackson spends about $466,000 on lobbying while Miami Children's spends about $207,000, which is about $70,000 less than last year, according to spokesmen. Florida has a part-time citizens' legislature, so it's more liable to attract those who have the ability to be away from home for the 60-day lawmaking session,plus special sessions and committee weeks. That means people with more flexible schedules like businessmen, lawyers, consultants and lobbyists are most likely to seek legislative office. One of the biggest fields for employment of legislators is education. The Miami Herald/St. Petersburg Times Tallahassee Bureau found 18 current and former lawmakers landed jobs and contracts with colleges and universities, including six with the University of South Florida. Rubio, a West Miami Republican, was among them. After leaving office, he won a $69,000 contract with FIU's public-policy think tank. Since then, he has aggressively attracted tens of thousands of donor dollars. At Miami Children's Hospital and JMH, officials say they're hoping he'll do the same for them. It looks like he has a good fat head on his shoulders. Well at least his net worth is $1,000 dollars higher than Tomas Regalado's net worth. His net worth was $5,000. And look at what a good job Tomas is doing. Virtually no one is running the City. Migoya only is doing the bottom line as if everything else is frozen in time. He doesn't know how to run a city. The city is in turmoil as everyone is not making any decisions because they lie in wait for a real manager to step in. Regalado needs to get his act together and get someone quickly before he is exposed. What is Jim DeFede's student loan debt? Oh wait, he never went to school. Neither did Regalado. I thought I wrote about Rubio...how did we get so off subject? jeebus - is that picture from a tv-test for the next evangelical shouter on tv? it's the first thing that comes to mind..as for his debt - well, a net worth of 8K and debt of 1M+ can only mean he either has great friends in the banking business or he's very clever at off-shoring his wealth - I can only hope he becomes a faded memory a year from now.. So what is Kendrick Meek's net worth? Meek has had 4 full-time jobs: luggage handler at the airport, FHP cop, Wackenhut salesman, and now congressman. If Meek is wealthy, I would like to know where he made his money. So, genius, you say that you only want very wealthy successful business people in public office. So is your pick Jeff Green or Rick Scott? Billionaire Green is the wealthiest and most financially successful candidate so I assume you think he is the most qualified. I love all these posts pointing at others - "what about Regalado, or Jim DeFede or Meek"
The POINT of the post is to spotlight the difference between one's rhetoric and their actions. If you can't balance your checkbook, you can't wag your finger at others for being "fiscally irresponsible." 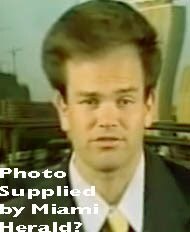 Rubio is leveraged to his eyeballs, had creditors chasing him down (along with conserva-buddy David Rivera) over skipping out on mortgage payments, and spending like a teenage girl with daddy's (the Fla Rebub Party) credit card. Juxtapose that with the conservative noise coming from his face-area and you have what they used to call a hypocrite. Wonder if he'll be all "get a job" about unemployment benefits after November. Last Anon put it just about right! Thank you last two Anons. You c -- learn from them because I NEVER said what you are saying---they get me you don't. Go read elsewhere. Hugo: One rule on this blog...don't insult the blogger. You lose. G.o.D., we call this "holy hair." To be done well, you must use a lot of hair spray to create the helmut effect. 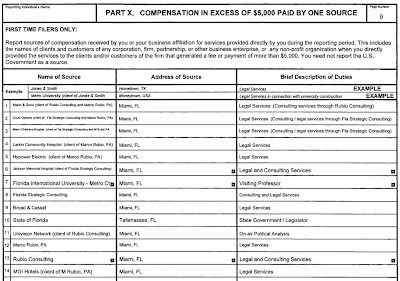 On Marco's salary - he is a visiting professor for $69,000. Really? I thought he was there to raise money. That's what I heard. So, if he is teaching there as a visiting professor, should we be asking how many hours he has taught and what classes and how many students? The FIU think doesn't pass the smell test to me. I understand having student loans. But... he graduated UM law school in 1996. I graduated 3 years before him and had $100,000 in debt (including undergrad.) But I don't have student loans now. I paid them. There is no reason he should have over 100 grand in student loans 14 years after graduation. And I don't have a big huge firm job. I've only broken the $100,000 mark one year since graduation. But I've been responsible and paid back what I owed. Why would he be carrying such debt for so long? I think this is very indicative of his fiscal irresponsibility. Hugo again called me elitist among other things..and the usual Hispanic county commissioner slur againt whites, "that I am part of the wine and cheese set..." That is just as much a slur as my calling my fellow Hispanics the rice and beans set. It is uncalled for. I find it offensive especially since I am a meatball eating Italian. Anyway, Rubio is a failure at managing his finances and acknowledging that does not make me an elitist it makes me observant. You can disagee Hugo without hurling slurs at me. WOW, you're "a meatball eating Italian?" I thought you were black!